Choosing a foundation is very difficult, and very often you can make the wrong choices. Not because the shade or the foundation is wrong, but mostly due to not knowing your skin’s undertones. 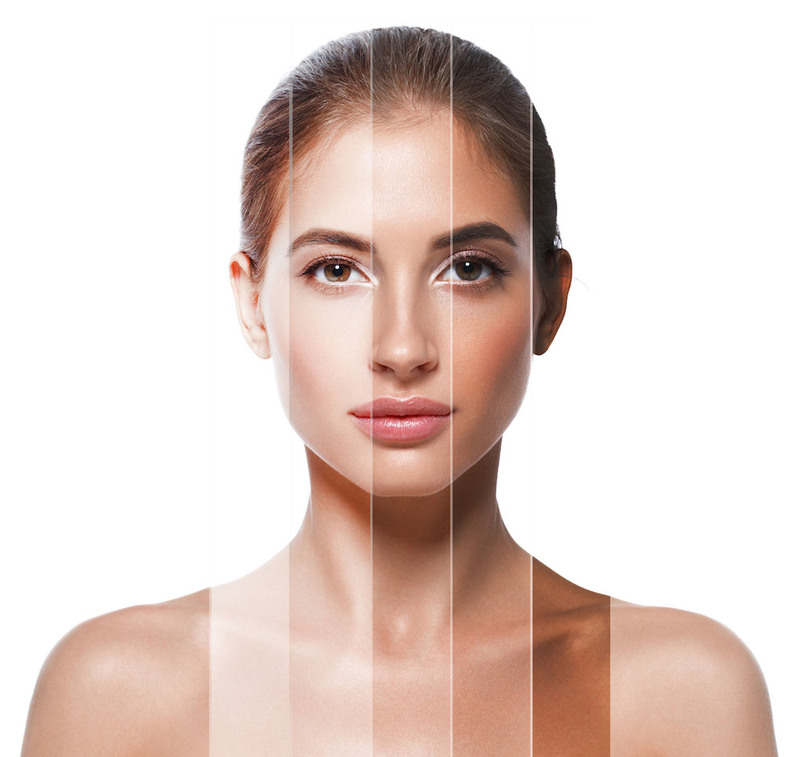 Because of sun damage, years of tanning, and outside influences, it can sometimes be difficult to decide what your skin’s undertone is at first glance. There are four basic undertones: cold, warm, neutral, and olive. There is a skin tone chart for all of them that tell you what color tones go well with what skin. Based on the undertone of your skin, you should choose your makeup, your jewelry, and your clothes. The right colors and tones will accentuate your beauty while the wrong ones will make you look ill.
Look at your veins. What color are they? If they are blue or purple then your skin has cold undertones. If they are greenish, it has warm undertones. If you cannot answer the question without hesitation, chances are you have neutral undertones. People with warm undertones tend to tan faster and more easily while those with cold undertones need to struggle to get any color on them. Try on different jewelry. What do you look better in, silver or gold? If the answer is gold then it is likely that you have warm undertones in your skin, while silver tends to look better on cold undertones. Look great in both? Congratulations! You are neutral. Having determined your skin tone, you should look for the right product for you. Remember, no matter what the chart says, everything should be tried and checked before making a choice. Not all foundations labeled as cool will actually look good on you. For girls with cool skin undertones foundations are slightly pink. Make sure they are not too pink or else you might look like a tomato. If you have warm skin, look for foundation with yellowish or golden undertones. This will also work well for olive skin girls. Golden undertones and warm undertones make the skin lose those green undertones. These are merely guidelines and not prescriptions. Whatever makes your skin look good – this is your product. Based on your skin tone chart you can now shop more successfully trying on makeup that fit your skin tone better. If you have warm undertones, yellows, oranges, browns, yellow-greens, and warm reds are the colors for you. Basically, try to find warm colors that will complement your skin color. Cold undertones tend to look best with blues, greens, and cold shades of red, purples, teal colors and any other blue or green-based colors. It is important to know what works for you and what doesn’t for more efficient shopping and choice of clothes and makeup. Do not limit yourself to your skin tone chart, though. Many colors can blend on all skins. Your undertone is only one factor of the complete picture. The difference in two hues of reds can be almost imperceptible but one will look good on you while the other won’t.